As I stated in the previous post about grips, there is one overriding rule to a great knuckleball grip — remove as many variable as possible to put yourself into position to have a chance of killing the spin entirely. That means using two fingertips to throw the ball instead of three and staying away from the seams. The textured seams catch on skin and fingernails to send the ball spinning. Stay away from them. Feel is a very personal thing. This feel determines differences in the knuckleball grip that can be easily seen from one knuckleball pitcher to another. And I will touch on two of these personal difference below — Depth and Tension. How deep does the ball sit in your hand with your grip? 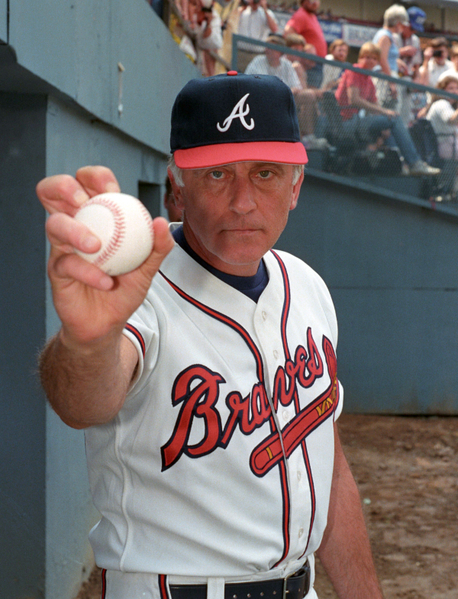 Do you wedge the ball up against your palm like Phil Niekro, RA Dickey and Tim Wakefield, or do you cradle the ball with your fingers, cause the ball to hover above your palm like Hoyt Wilhelm and Charlie Hough? The depth of the ball in your hand is completely up to you. And, as you can see, there have been very successful pitchers that have used varying levels of depth. But the depth of your grip might be cause by the length of your fingernails. 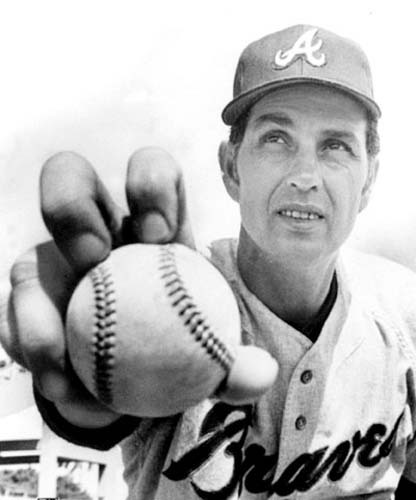 Shorter fingernails will allow you to have a lighter grip on the ball and may cause the ball to hover above your palm like Hoyt Wilhelm. You don’t have to curl your fingers very far in order to dig those stubby and strong nails into the rawhide of the ball. This allows for a light, dangly grip that some may find uncomfortable, especially when trying to throw the ball hard, because you’ll be forced to throw the ball almost exclusively off your fingernails without the aid of your fingertip. Longer fingernails will cause the ball to sit deeper into your palm. This is because you’ll be forced to curl your fingers more to get your fingertips on the ball, which will sink the ball deeper in your palm. Longer nails cause you to sit both your fingernail and a portion of the tip of your finger flush onto the ball. Long fingernail knuckle ball pitchers tend to have more surface area for leverage and may be able to throw the knuckleball harder. But velocity isn’t always the name of the game with the knuckleball. Play around with different nail lengths. Start longer, use both your nail and your fingertip and then slowly work your nails shorter, using less of your fingertip. See how it affects the depth of your grip and determine what feels best for you. Then start thinking about grip tension, which will be covered in the next article in this never-ending series of articles about the knuckle ball grip.